A local lad, born in Launceston, Olver was playing for his hometown team in the Cornish leagues when given his chance to step up, soon after the start of the Jack Tresadern era. 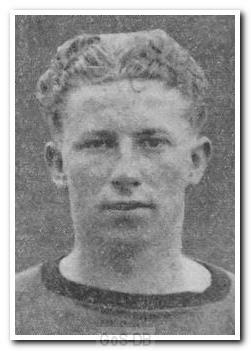 However, the step-up was a big one; the inside-left made just two League appearances, with the remainder of his games and his only club goals in the South West Regional League after the 1939-40 season was abandoned. One of his goals came in the remarkable 10-3 mauling of Bristol City in February 1940. Ultimately his career was cut short by the war, although he did return to play a further game in the Football League South in December 1945 before League football was fully restored the following year. He then returned to the Cornish leagues with St. Austell.